Boracay Weather - What you Need to Know! Hi from My Boracay Guide! I am Samantha, a Cebuana in love with Boracay and the resident blogger of MyBoracayGuide. I hear a lot of people planning to come to Boracay, and just waiting for the right time. Wait no more! One of the key things to being a good traveler is to know what to expect, weather-wise. So here I have mapped out some of the things you need to know to help you decide when you want to make a Boracay trip. Before all that, here’s a short summary of what the weather is like in Boracay. Boracay is considered to have tropical weather all year round, with two main seasons. A year is divided into these two seasons, we call it Amihan and Habagat. To give you a better picture of what the weather is like, I have also included graphs for your reference below. Amihan is also known as the north east monsoon wind, and this period is considered the high and peak season in Boracay. The winds come in from the north east side of the island, from the direction of Bulabog Beach. Habagat is also know as the south west monsoon wind, this period is considered the low season in Boracay. The winds come in from the southwest side of the island, from the direction of White Beach. This the period when the island gets the most of its visitors; the sun is always out and the water is always calm, cool and clear. Beautiful people from all over the world are tanning on the beach, swimming and enjoying all the island activities under the perfect sunny weather. It’s a perfect time to come to Boracay! October through March is the best time for water sports enthusiasts to visit Bulabog Beach. Dubbed as “the number one kiteboarding beach in Asia", this beach provides the best conditions and atmosphere to learn kiteboarding and wind surfing. The wind comes in at an average of 15 to 25 knots, some days it goes up to 30 knots or more. 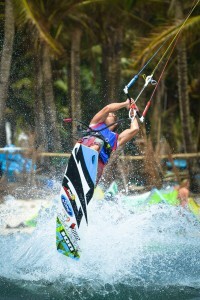 Anyone interested in kiteboarding or wind surfing should come to Boracay during these months. Bulabog Beach is definitely something to see and experience! Plus the kite boarders are not bad to look at. Moreover, competitions are scheduled within these months. Once schedules are finalized, I will be sure to keep you posted! The holidays fall under these months, and the best part of this is New Year’s Eve. Spending the New Year in Boracay is a spectacular experience. Everyone gathers on White Beach to watch the fireworks, which are lit from boats out on the water. There are usually 3 sets of fireworks display, from Stations 1, 2 and 3 which you can enjoy from any spot on White Beach. You can then party all night with everyone else, my friends and I usually stay out and welcome the first sunrise of the new year! Soon after the holidays, another event is forthcoming. 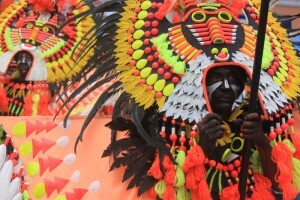 The Ati-atihan festival is one of the biggest events in Malay Aklan, it is a celebration of the culture and heritage of the Aklan and the Atis. It takes place on the 3rd week of January, locals dress in colorful costumes and dance on the streets. 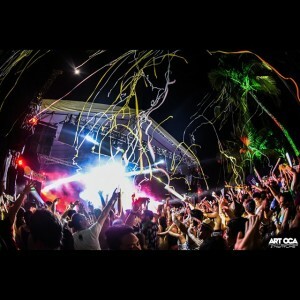 Watch the festival unfold from White Beach or Kalibo! This is the hottest time of the year, as it is the summer time in the Philippines. The calm waters of White Beach get busy as rowers from all over the world arrive in Boracay to compete in the International Dragon Boat Festival. Every year as the competition date nears, practices become more intense I know this because I tried to join once. Keyword is try, I died at cross fit training. I just cheer for my favorite team now, go Bugsay Boracay! Rowing teams from Boracay can be seen practicing their drills on the beach for their competition at the end of April. The festival opens with a parade of all the teams on White Beach. For Dragon Boat fans and enthusiasts, this is a good time to come to the island! I can’t talk about the summer without talking about Laboracay. 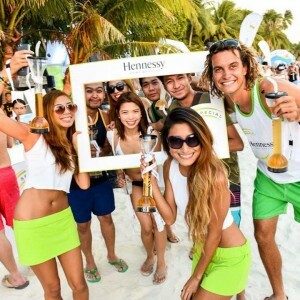 Labor day weekend was dubbed Laboracay in 2014, it is one of the biggest events of the summer. Flocks of young adults come to Boracay for a 3 to 5 day party weekend. 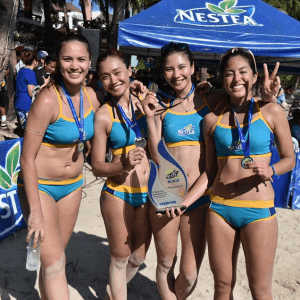 Big companies like Nestea, Smart, Henessy, and Marlboro sponsor events, games, throw parties on White Beach and giving out cool prizes and free samples. This year Hennessy handed out samples of their new cocktails, I also got a towel and a tumbler from Sprite for doing something similar to the ice bucket challenge, but hey it was really warm so all good! I will definitely keep you posted once the event schedules and participating sponsors are out and finalized for 2016! LOW SEASON WEATHER MEANS LOW PRICES! This is the time of the year when there are considerably less visitors on the island due to the rainy season, but those who picture an all-stormy Boracay during this period have unfortunately been mislead. This is in fact, my favorite time of the year. I love Habagat! The breeze comes in from White Beach, which means it’s a lot cooler, making it a such a great place to hang and just chill out. Like literally, it’s cold. We do get frequent rains, but this happens only half the day. We still get sun and when we do, we all head out to White Beach to enjoy it, minus the usual crowd you get during peak season! The occasional rain and strong winds might chase some people back to their hotels, but not the kiteboarders and windsurfers, no! I’ve seen them do their fearless tricks out on White Beach. Although the wind is strong there, this doesn’t mean the water activities have stopped! They have simply moved to Bulabog Beach where the water is calmer, all activities are still available. So you see, Boracay is pretty awesome all year round. I am writing this now in the middle of July, it was pouring down rain early this morning but now the trees look greener, and I see the sun shining against a cloudless blue sky. I hope this helps you decide when to visit the island. If you have questions, feel free to contact me through the numbers listed below. My next topic covers all the beaches of Boracay. Did you know there were 18? Until then, see you in paradise! This entry was posted on 星期二, 二月 7th, 2017	at 5:57 下午	and is filed under guides-zh-tw, 最近	. You can follow any responses to this entry through the RSS 2.0	feed. You can skip to the end and leave a response. Pinging is currently not allowed.